I’m very much looking forward to showing a couple of my experimental filmworks along with fellow South Carlow 9 Stones Artists. 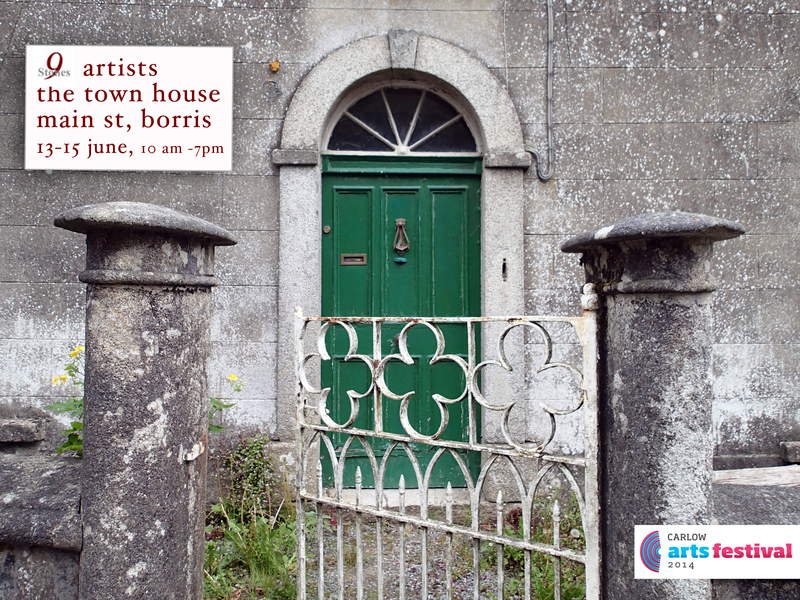 Although this is our 5th group exhibition for the first time our group is showing in our closest village, Borris and coinciding with the 2014 Borris Festival of Writing and Ideas. Info below and please feel free to share. 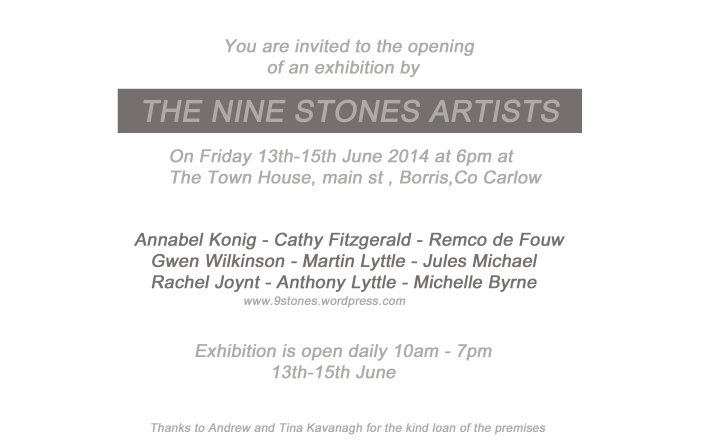 Uniting for our fifth group show, the 9 Stones Artists will present an exciting exhibition of recent and site-specific works in Borris Village for the duration of the Borris House Festival of Writing and Ideas, as part of the 2014 Carlow Arts Festival. A common thread to the 9 Stones Artists group is that we respond to the area and reflect new meanings and experiences of South Carlow to audiences; in the various media we choose, the themes we engage with or the practices and processes we undertake.